It’s been a while that I did a baby belly bodypainting, but recently I got another chance. This time, it was a sequel to the water dragon and the horse. 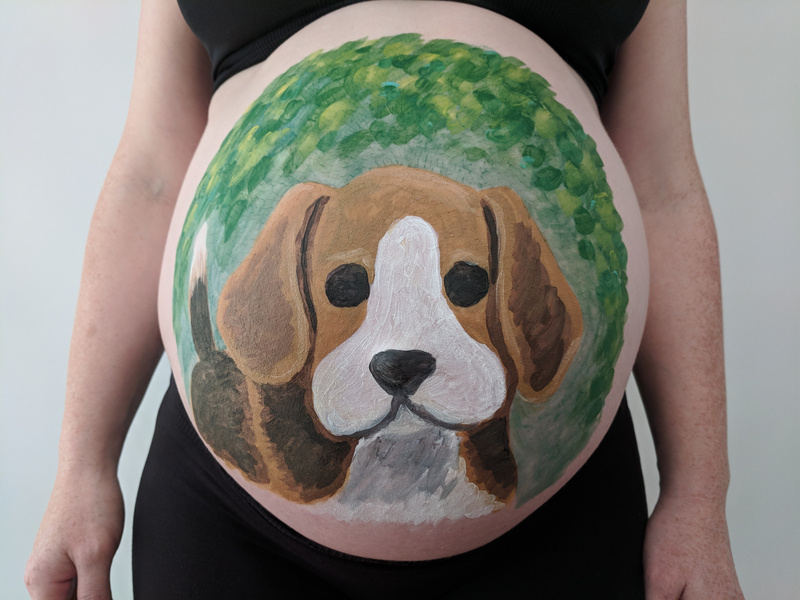 Continuing the tradition of painting the Chinese Zodiac, the mother-to-be requested a dog. The chose was made, it is a Beagle. It was a pleasure to paint on Sara again. With her third child and painting, she is already one of my ‘pros’. I wish her and her family all the best, in particular for the little one. My latest body painting, which I did in Cologne during my Xmas travels to my home town, does actually have a reference to this city. The city is the location of the WDR (“Westdeutscher Rundfunk”) which is the regional (state-funded) TV station. It has a famous TV show for kids called “Sendung mit der Maus” (which translates to “Show with the mouse”). The main cast of this show is a mouse, an elephant and a duck. The show is more than 45 years old by now and still as popular with the kids these days as it was during my childhood. 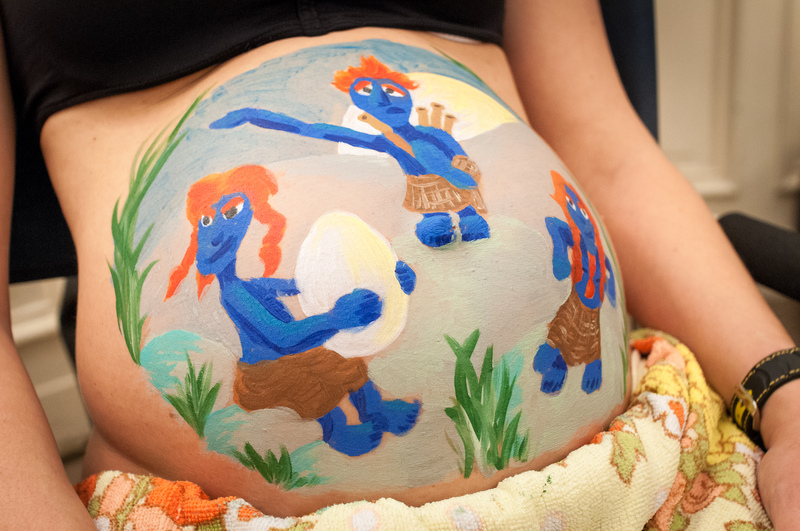 All of main characters made it to the belly painting. See “more” for making-of photos. Thanks to the family for the nice afternoon! 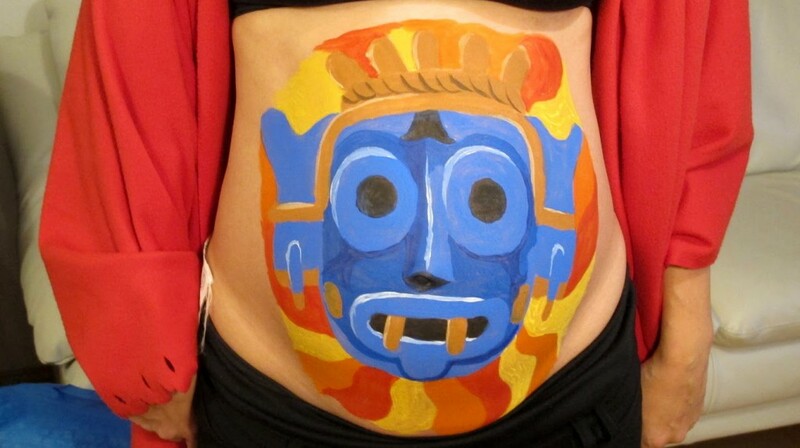 I recently did another (rather quick) body painting. This time, it was not that complicated, and it turned our rather well. Unfortunately, I don’t have any making-of pictures, so if you click ‘more’, you’ll just see a few more shots from other perspectives. Meanwhile, the baby was born. Congratulations to the happy family! 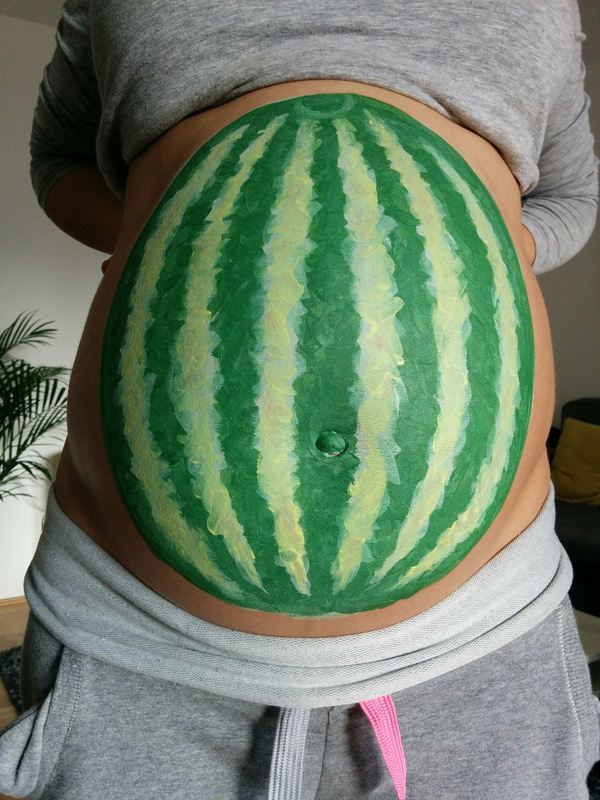 I recently did another baby belly painting. 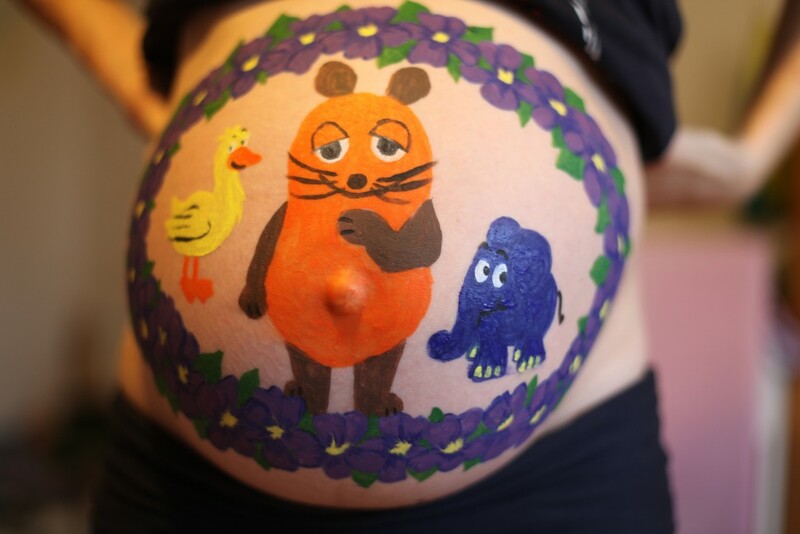 The inspiration for it came from ancient egyptian pottery which looks like blue hippos with flowers painted ton them. See an example here in the Met. Click ‘more’ for the making of. 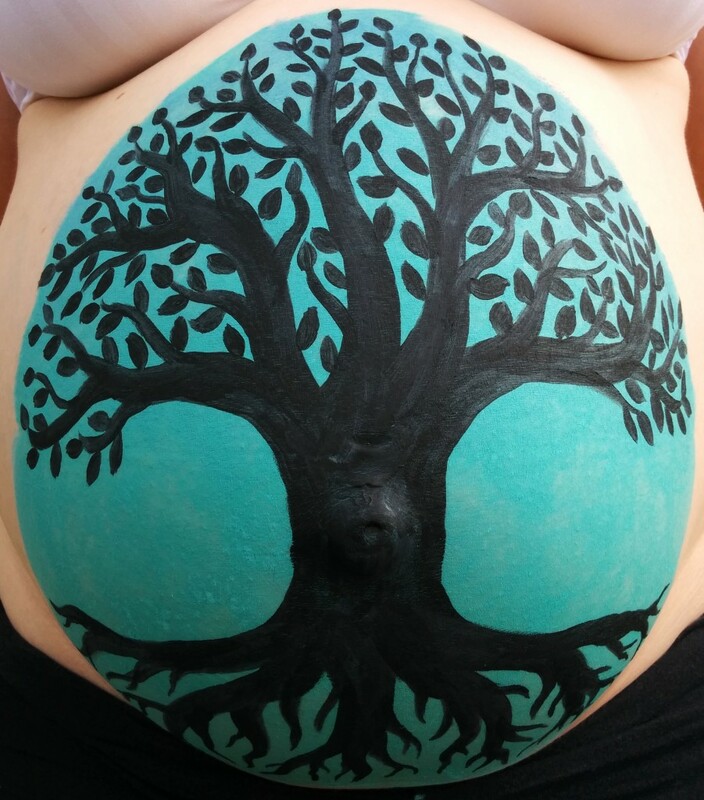 I recently had the pleasure of making another baby belly body painting. 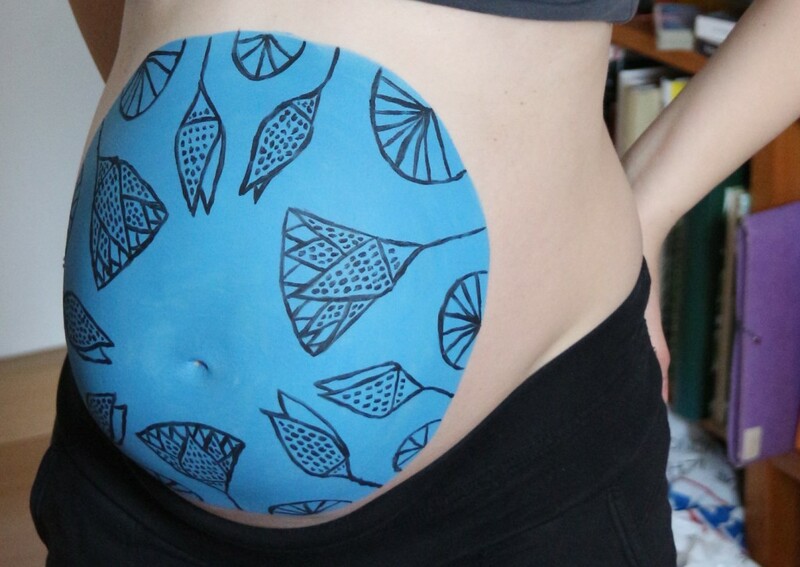 My dear pregnant friend is a little obsessed with turquoise and thus the belly is themed in that color. She chose a beautiful symbol of growth, a tree with strong roots and a wide crown. See the final picture here, following by the making of and some close-ups. 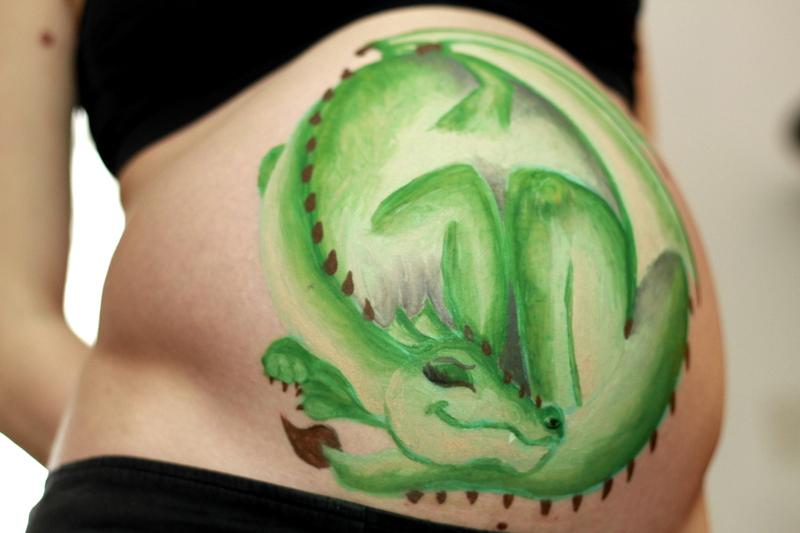 A while ago, I painted a dragon in the element of water on a baby belly as this mythical creature is the Chinese zodiac of the baby. By now, the little boy is getting a brother or sister and I had the opportunity to turn this into a little zodiac series. The “second one” will be of the Chinese zodiac “Horse” and the element “Wood”, thus we decided to paint a brown horse. See a time-lapse video of the making and some images of the final result below. 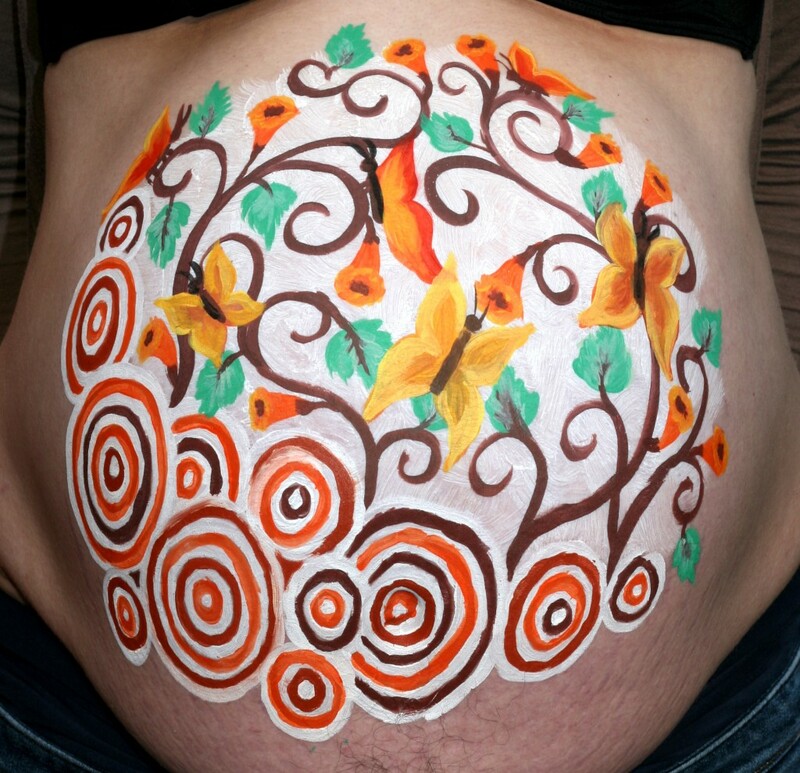 Following a lovely invitation to Berlin, I recently made another baby belly body painting. The requested image was that of little creatures of the folk of Nac Mac Feegle, created by author Terry Pratchett. See the following pictures of the “making of”.